The years 2016 to 2020 are a four year ‘Brontë 200’ period that marks the 200th anniversaries of the births of all the writing Brontë children, with dear Anne being celebrated in the last year of the cycle. Today sees Branwell Brontë take centre stage, as on 26th June 2017 he was born to Patrick and Maria Brontë in the parsonage on Market Street, Thornton. His birth would undoubtedly have been seen as a blessing, being the first son after three daughters (in order of birth Maria, Elizabeth and Charlotte). Here at last was the child who would become the man to take the Brontë name forward into the world. He would also be expected to be a breadwinner and to be able to support his sisters if they should fail to marry or if his father became ill or worse. It didn’t work out like that. Branwell Brontë certainly divides opinions today. Some see him as a talented writer in his own right, unfairly overshadowed by his sisters, whereas others see him as the devil incarnate – but the truth is that he was neither of these things. To find the true Branwell we have to take a more nuanced look at this very complex, very troubled man. 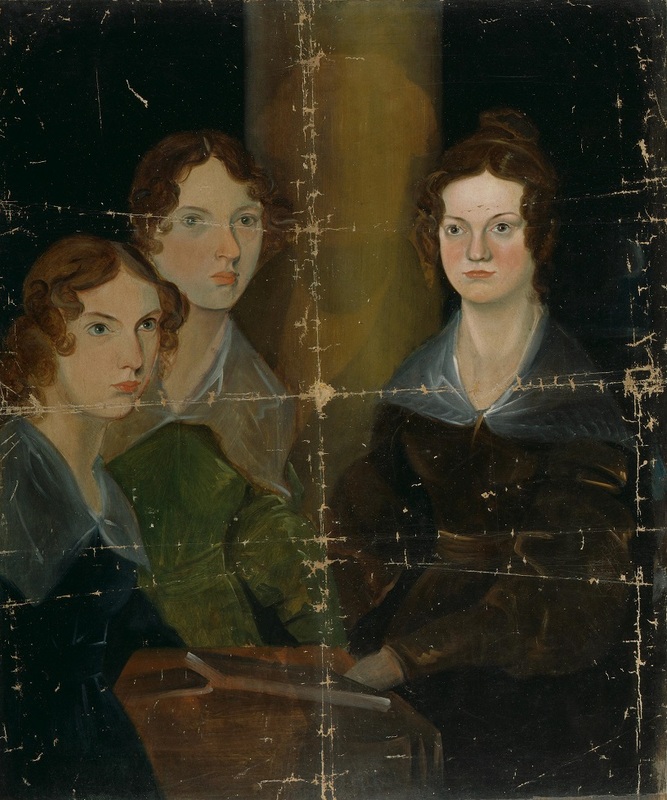 Branwell Brontë certainly was no genius, and yet today he is frequently treated as though he is the equal of his sisters. This does not mean that he should be overlooked, however, and he was a man with great potential. I’m a fan of his paintings, although I know that some are less so, and feel that he could have made a success of life as a portrait painter if he had endured, but it was this quality that he severely lacked. Both Emily and Anne were models of patience and endurance, but they had taken their brothers share. When problems occurred, Branwell would flee from them – as we see from his record in adult life: he failed possibly to even turn up at the Royal Academy, where his father expected him to study art; he abandoned his role as a portrait painter in Bradford after a year, having run up debts and gained few commissions; he began a short lived job as a tutor with a mammoth drinking session in Kendal; his promising and well paid job as a railway clerk was ended when he failed to watch a subordinate who stole money, having instead spent his days drinking, sketching and writing. Most disastrous of all, of course, was his stint as a governor to the Robinson family of Thorp Green Hall, a post that Anne had obtained for him, an action she would come to regret. The story is well known of how Branwell fell in love with Mrs Lydia Robinson, but did she love him back? It’s entirely possible as at this time he could be exquisitely charming, and Charlotte admitted that he had fair looks that had eluded his sisters. Branwell was dismissed in disgrace, and he later learned that whilst his beloved Lydia’s husband had died, the terms of the will forbid him to make contact with Lydia. This was a lie of course, but Branwell was so unworldly-wise that he believed it just as much as he initially believed that he had a chance of marrying the widow Robinson. Branwell was already a heavy drinker and this mortal blow accelerated his descent into an alcohol-fuel hell, he also turned increasingly to opium that he bought from the nearby apothecary. Branwell did not always drink simply because he could not afford it (which is why he often chose opium which was cheaper and left no trace on the breath), but when he did there should be no doubt that he drank to a terrifying excess. Towards the end of his life we hear of him collapsing in a fit on the floor or public houses, a sure sign of delirium tremens. He also suffered from the haunting visions that come with DT; on one of the last days of his life he met his friend Francis Grundy at the Black Bull Inn. Grundy reported his horrifying appearance, with wild unkempt hair and constantly quivering lips; he also wrote of how Branwell produced a knife from his sleeve – he had thought Grundy was the devil and was going to kill him. Branwell was incredibly disruptive to his family at this time, as on the occasion when he fell asleep while trying to read by candle light; Anne discovered his room on fire, and the strong Emily had to carry him from his bed as they threw water to put the flames out – an episode that Charlotte would later recreate in ‘Jane Eyre‘ of course. His father Patrick, by then ageing and half-blind, insisted that Branwell share a bedroom with himself for his own safety. 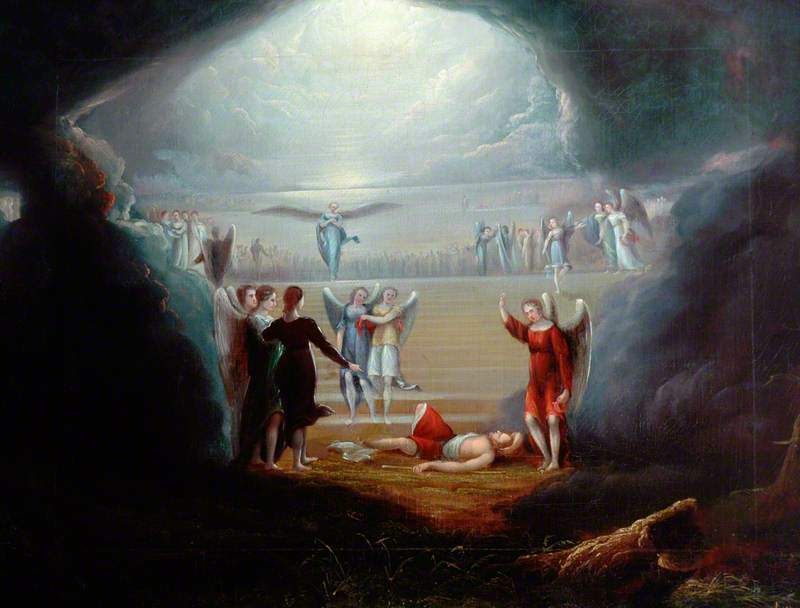 It was an act of bravery, as Branwell often cried out that in the morning at least one of them would be dead. No, we should not judge Branwell; we would not want to walk a mile in his shoes. Rather today let’s look at the good things he did. It was he who led the childhood walks across the moors and started a lifelong obsession for Emily and Anne; it was he who painted the only portrait of the three Brontë sisters together; it was he who drew drawings of castles and rustic scenes to please his little sister Anne; it was the sharing of his toy soldiers that led to the Brontë children creating their first stories, and it was he who took charge of the writing of their first little books: entitled ‘Branwell’s Blackwood’s Magazine’. It has to be said that without Branwell there would probably be no Brontë books at all. Such interesting posts about a family long gone, yet still quite prevalent in the literary world. Indeed! Happy Bithday Branwell! I’m a fan of his painting too and I’m a painter! His portrait of his sisters is very good, it’s just that it is unfinished. CB is the most finished of the three…but EJB and AB’s renderings are advanced stretches really….and they seem more lively for it. We also now know Branwell’s own figure was never there….at most it was blocked out ( coat and face area ) For years it was though he had painted himself over. But tests done recently prove otherwise. Being a artist, I know one has to have a drive to create that cannot be stopped. Praise is great, but it cannot be why one does something …it’s too uncertain. Sadly for Branwell its appearance or lack seem to have an unfortunate influence upon him. Thank you for evoking a sympathy in me for a man I have hitherto disliked! Rather unfair Patrick’s dismissal from the Railway considering he didn’t commit the crime. He suffered terrible mental agonies poor man. 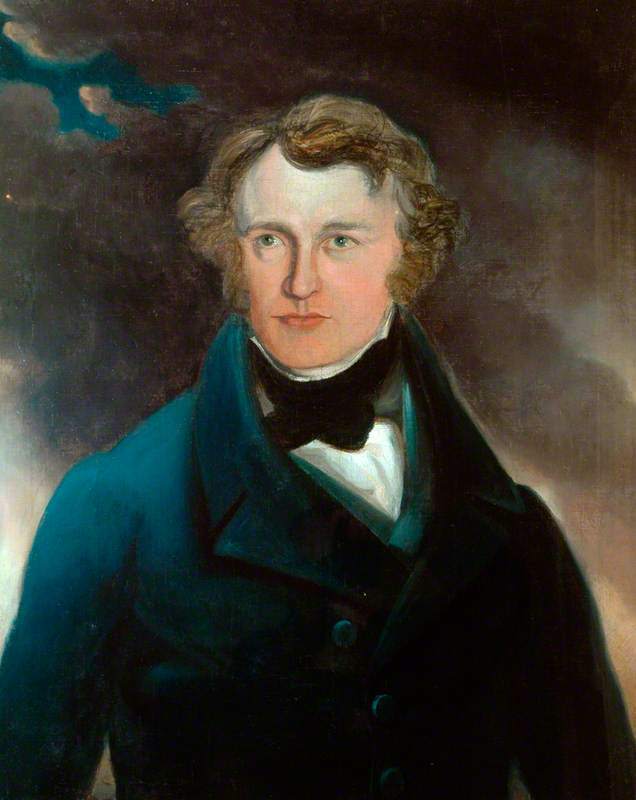 Patrick Branwell Bronte was born 17 June 1817, died 24 September 1848.